Your teeth work 24 hours a day. 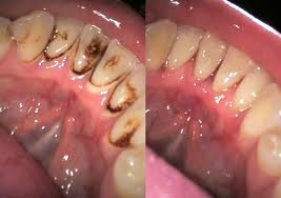 With eating, drinking, smoking etc, the teeth can stain and darken. In addition plaque/bacteria that is always present in your mouth in various degrees depending on how well you clean your teeth, can harden and form a hard scale like substance on the tooth surface. This scale is called Calculus. Calculus along with plaque can cause various dental complications ranging from dental caries to periodontal disease. Bleeding gums is the bodies response to the presence of plaque/bacteria, and this can progress to periodontal disease and the loss of tooth support. This loss of tooth support leads to mobile or loose teeth which will eventually have to be extracted. 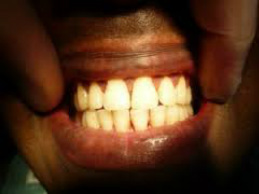 The first step in maintaining healthy teeth and gums starts with you. Proper brushing twice a day and regular flossing (ie, everytime you eat), will reduce the amount of plaque around your teeth and help maintain a healthy oral environment. 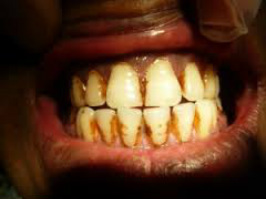 Even with the best oral hygiene regime, staining and calculus buildup over time is normal. This cannot be removed by normal brushing and flossing so a scale and polishing done at least once a year at the Kohimarama Dental will help remove all attached calculus and remove stains. Also a regular checkup at least once a year will help determine if there any proplems which can be rectified before they become too costly. In Addition we can provide you with professional tooth whitening treatments with aftercare home based products, if you require your teeth to be whiter.